Heat chicken, salt and enough water to cover chicken to boiling in Dutch oven; reduce heat. Cover and simmer about 40 minutes. Cool chicken and broth quickly. Remove chicken from broth; refrigerate broth. Remove skin and ones from chicken; cut chicken into bite-sized pieces. Skim fat from broth. Place chicken pieces, broth and remaining ingredients except vermicelli in Dutch oven. Heat to boiling; reduce heat. Simmer uncovered until carrots are crisp-tender, about 20 minutes; remove gingerroot. Stir in vermicelli. Simmer uncovered until vermicelli is tender, about 5 minutes. 10 servings. 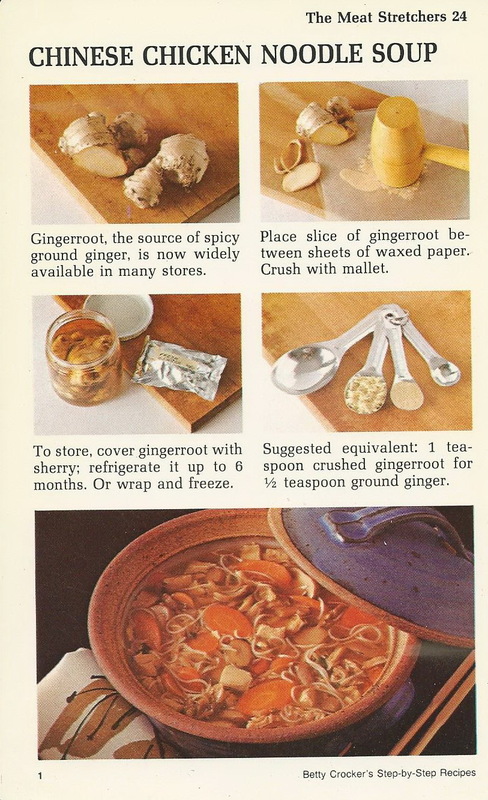 *1/2 teaspoon ground ginger can be substituted for the gingerroot. I like that sherry/ginger idea!